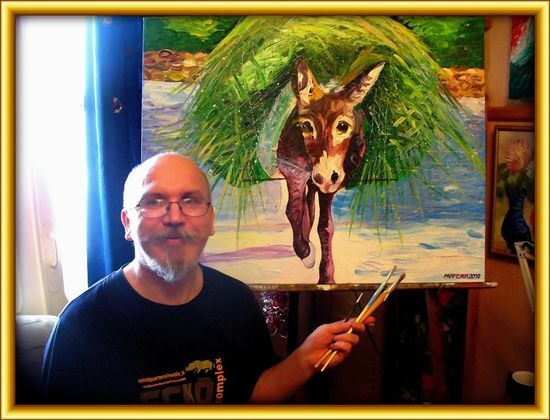 "Sergei Parfeniuk Artist Painter Russia Sergei Parfenyuk born May 5, 1960 in Asbestos, Sverdlovsk region. Russia. Variety of trends and styles - from abstract to figurative painting. And clearly, always recognizable personal style: bright beautiful and expressive graphically at the same time. Creative method consists in a relaxed and nepoverh- rity"
Sergei Parfenyuk born May 5, 1960 in Asbestos, Sverdlovsk region. Russia. Variety of trends and styles - from abstract to figurative painting. rity dialogue with art predecessors. stars of culture and art. 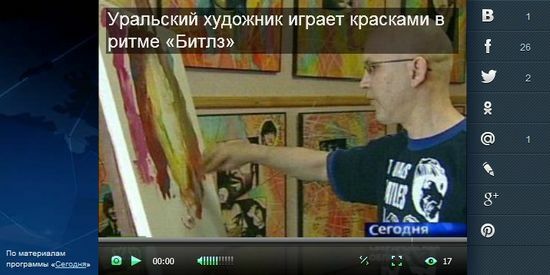 In the world stars of rock culture - Sir Paul McCartney "The BEATLES"
Sergei Parfenuk is renowned avant-garde artist. He works in the broad areas of analytical and meaningless work. So to say freelance experimenter with a personal view of contemporary art. He is one of the best colorists, color composers, neo avant-garde artist with a slight tendency to symbolism. Master figurativism abstract and abstract expressionism. Thousands of his masterpieces are in museums and private collections in Russia and in other countries like USA, UK, Spain, Italy, Germany, France, Japan, etc. Sergei Parfenyuk picture are in the collections of world and national stars of culture and art - director Kapitanovskogo Maxim, People's Artist of Russia Elena Kamburova, People's Artist of Russia, Renata Litvinova, playwright and director Nikolai Kolyada, writer Arsene Titov, Zemfira singer, composer Alexander Pantykin. In the studio of local rock bands - "The Time Machine", "aquarium", "DDT", "Crematorium, coma," "Agatha Christie", "Semantic hallucinations", "Picnic", "Alice", "DDT", "Nautilus Pompilius "In the world of rock-star culture - Sir Paul McCartney." BEATLES ", Ian Gillan and Roger Glover, Ian Paice of g." Deep Purple ", Dan McCafferty from" Nazareth ", Klaus Meine, the leader of the gr." Scorpions ", Paul Diano, lead singer of« Iron Maiden, the founder of the "Uriah Heep "Ken Hensley, lead singer of" Boney M "Liz Mitchell.